With minimalist design, retro modern style, and a cool, sophisticated look, the Kinetic Ceiling Lamp is the epitome of Zuo Modern's simple yet eclectic design philosophy. 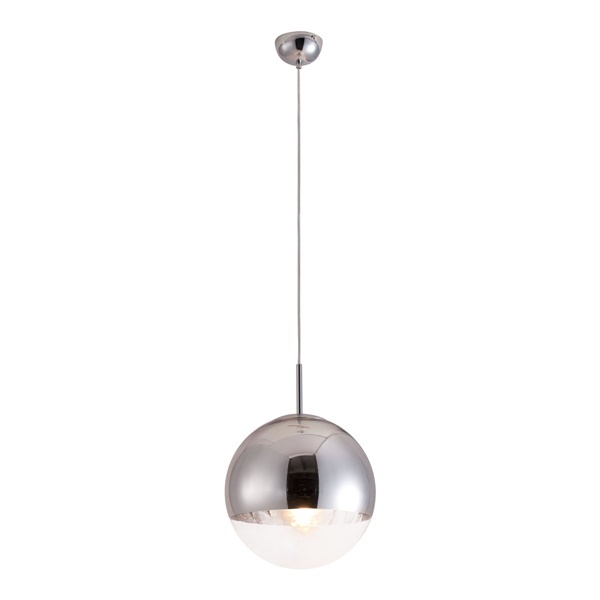 This contemporary ceiling pendant features a single bulb encased in a half chrome, half glass sphere that provides the perfect combination of task lighting and ambient glow. For added function the Kinetic Ceiling Lamp is height adjustable to ensure optimal lighting.